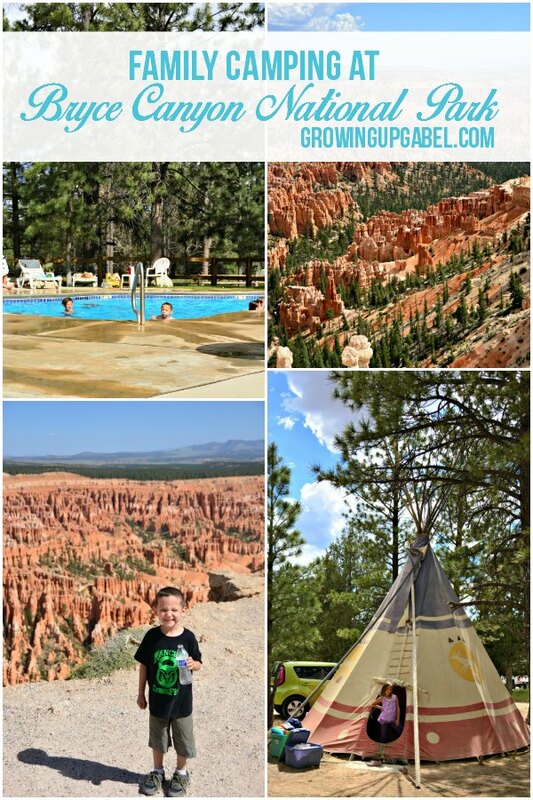 Looking to take your family camping at Bryce Canyon National Park? 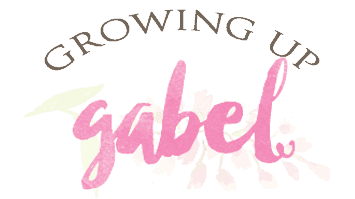 Read on for a great way to enjoy this national park with kids! 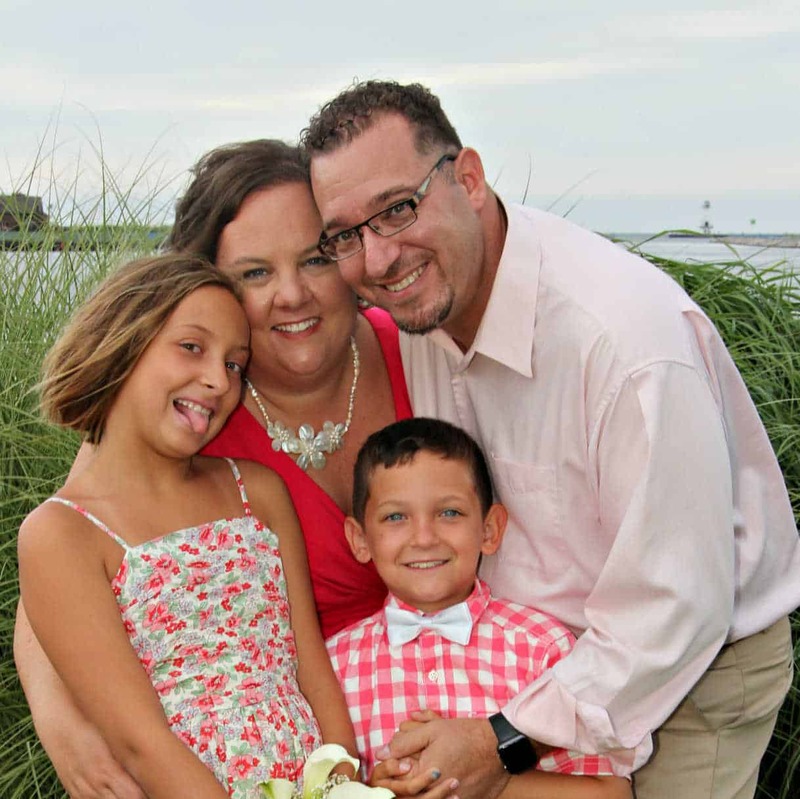 In the summer of 2014, I decided to start a new family tradition. We would go camping for the 4th of July. Vegas is always so hot on the 4th that's miserable to be home. We needed to go somewhere cooler and with festivities for the holiday. 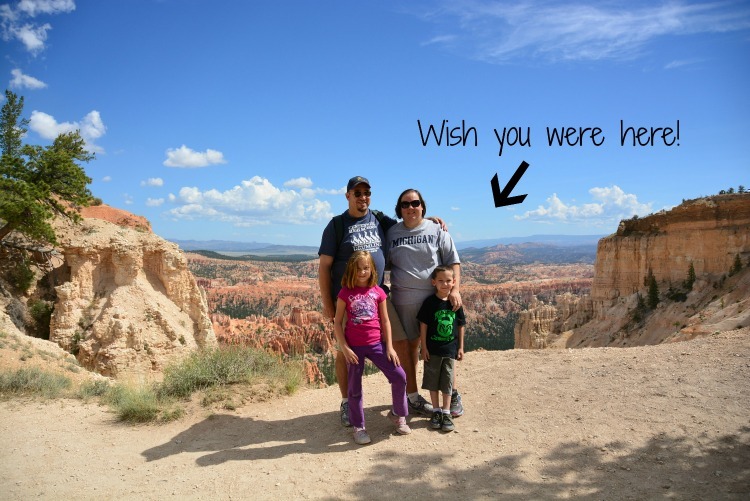 For our inaugural Gabel Family July 4th Camping Trip, we decided to go camping at Bryce Canyon National Park. The drive from Las Vegas to Bryce is about 4 hours. On the way to Bryce, we drove most of the way on the main free way (I-15). It was boring. I have discovered that most national parks are off the beaten path so eventually we did get off the free way on to two lane highways. After researching a bit more, I discovered that Highway 89 would take us to the east entrance of Zion National Park. We could drive through Zion on the way home. It was one of the most beautiful drives I've ever taken. There were plenty of fun places to stop like this European bakery. If you have the time, definitely take this route between Bryce and Zion. I'm a little bit picky when it comes to camping. We do tent camp, but I need some accommodations like showers, a pool or swimming area for the kids and somewhere to buy coffee in the morning. That means that we don't camp inside national parks. Instead, I look for campgrounds near the entrance to the parks. This trip we stayed at Ruby's R.V. Park and Campground. Ruby's does not take reservations for campsites. They do, however, take reservations for tee pees. 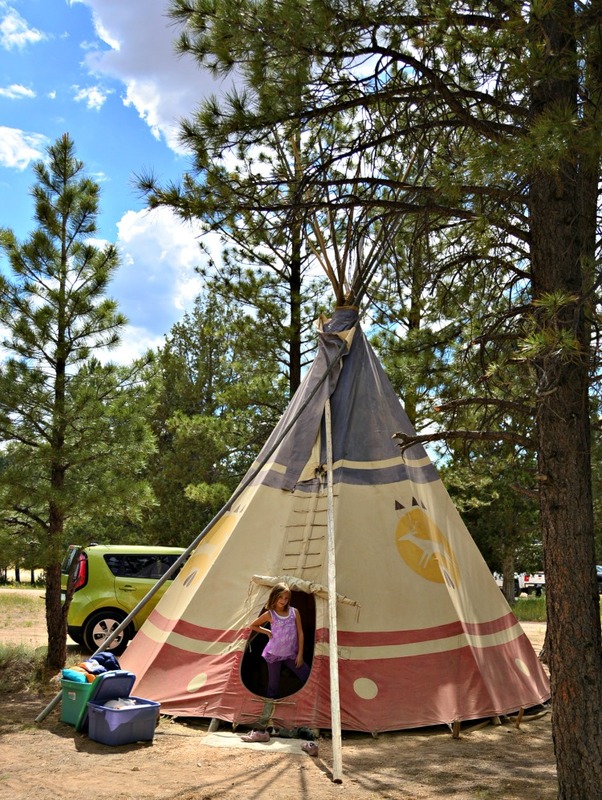 Ruby's has about 10 tee pees and they easily accommodate up to 8 people. They are huge! They are also rain proof as we spent one rainy night completely dry. 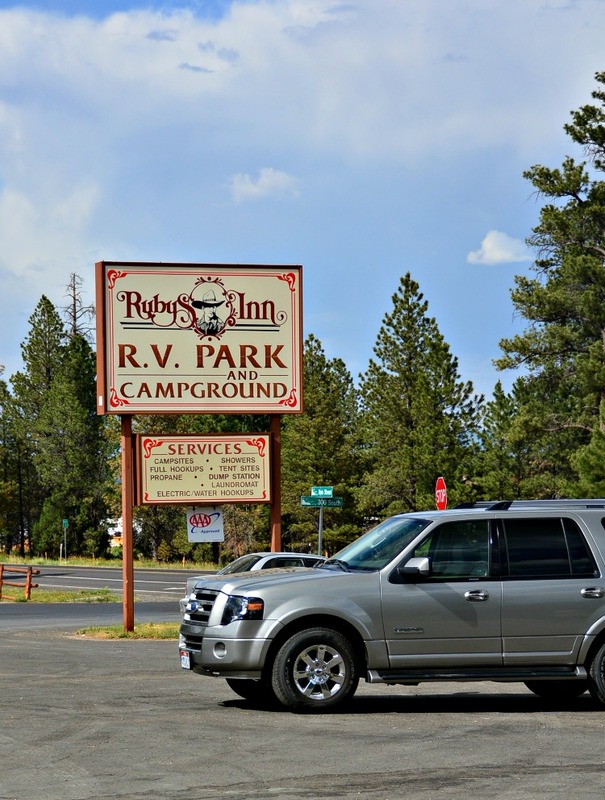 Ruby's also offers cabins, tent and RV sites. But really, you need to try the tee pees. They were so fun! Ruby's also has a hotel for those of you who aren't campers. Ruby's had everything we needed to camp including fire wood, ice, coffee in the mornings and a pool. The tee pees run about $50/night for 4 people so they weren't exactly cheap. But for all the amenities – including fireworks on the 4th – we would go back. 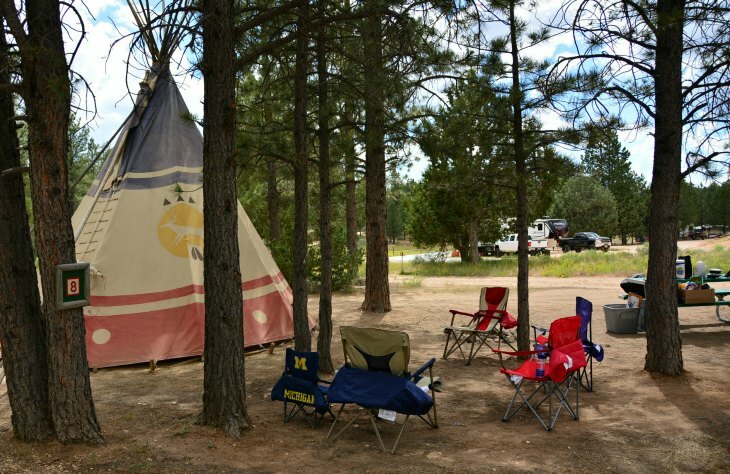 Our one complaint is that the tee pees are right on the main road in to Bryce so we heard a lot of road traffic early in the morning. We spent one day in Bryce Canyon National Park. The park bus stops right outside of Ruby's and it was very easy to jump on and get a ride in to the park. You can also buy the bus pass or any other National Park pass at a little stand right at Ruby's campground. We were completely unprepared for any serious hiking because I had no idea what to expect. 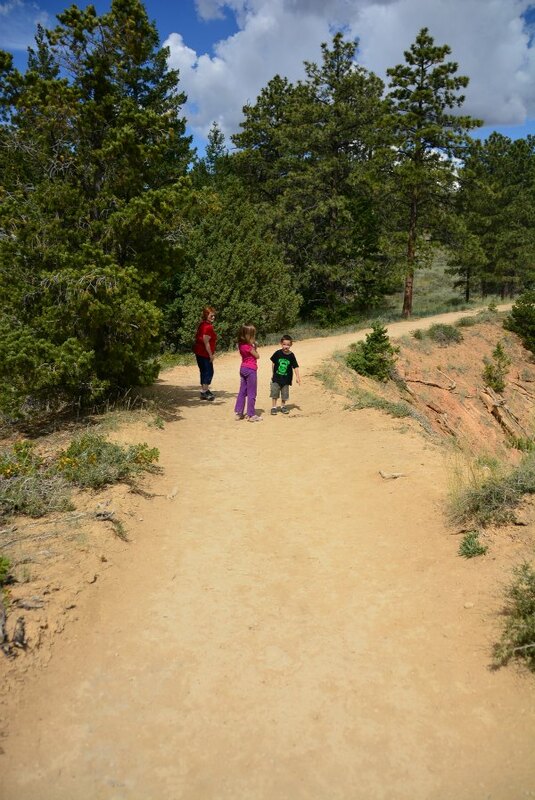 At the recommendation of a park ranger, we “hiked” the Rim Trail backwards. We took the bus up to Fairyland Point and worked our way down to Sunrise Point. This part of the trail is about a mile and very easy. There is are a few places where it's uphill but it's not steep. It's just an incline. We spanned in ages from 5 to over 60 and we all did just fine. The trail does continue on for a total of just under 5 miles but we stopped and ate our picnic lunch at Sunrise Point. The views from the rim are stunning. All those rock formations at the bottom of the canyon are called hoodoos and you can also hike down among them. We didn't have enough water or the right gear to do that hike. It's an easy hike but you do have to climb down and then back up. I definitely want to go back and hike among the hoodoos, though. There are plenty of other things to do outside of the park. The town outside the park gates is very small. 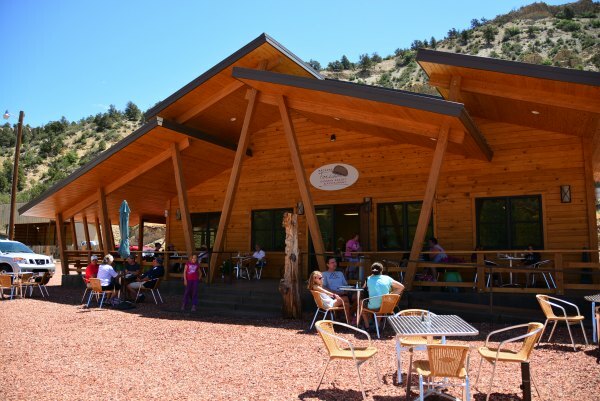 It's smaller than Grand Canyon or Zion, but there are a few shops, an ice cream parlor, and even a nice grocery store. The town also has a rodeo at night for some fun family entertainment. 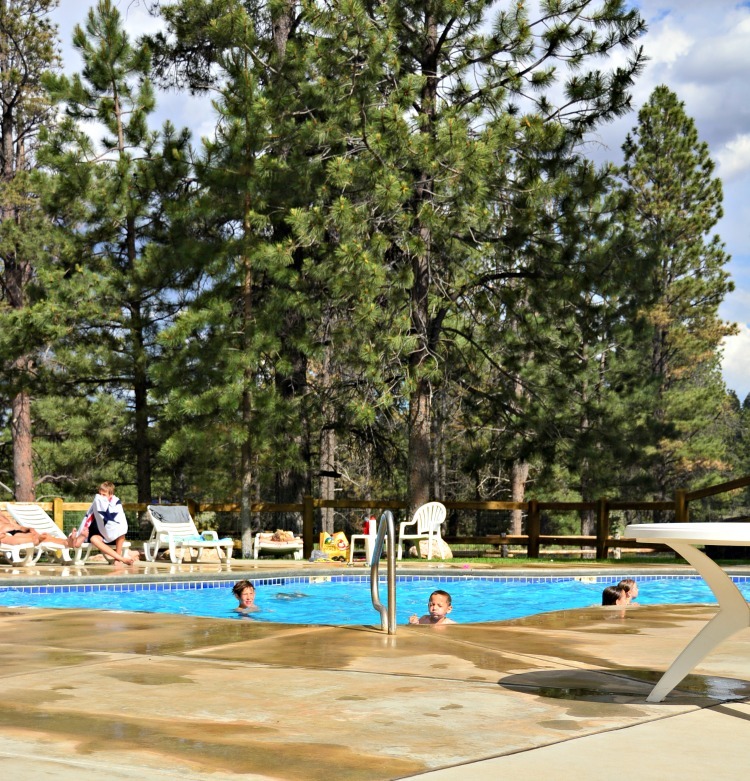 Bryce Canyon National Park is a fun family get away for campers and non-campers. With many accommodation options, there's somewhere for everyone to stay in or out of the park. 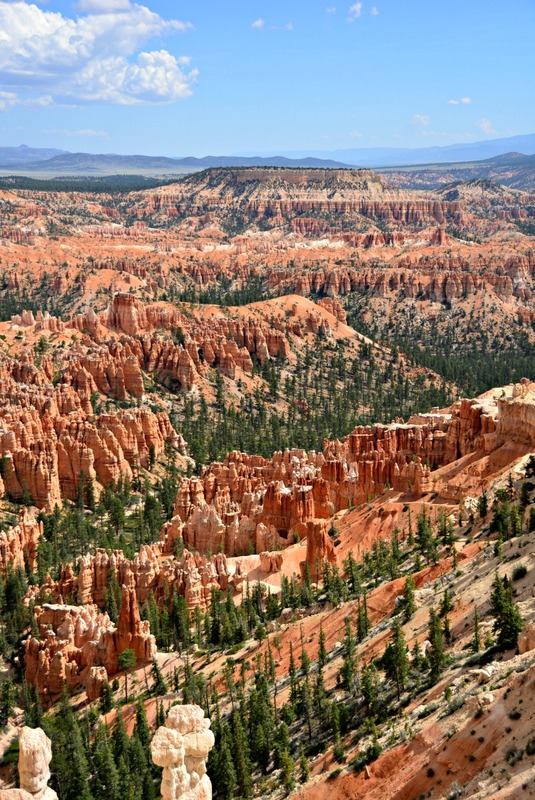 Bryce offers plenty of hikes for every age and physical ability. We only spent 2 nights and 3 days at Bryce, but it was a trip we will remember for a lifetime.